"According to Coué, repeating words or images enough times causes the "subconscious" to absorb them. In contrast to Coué's opinion, Shultz, believed autogenic training was a method for influencing one's autonomic nervous system, not the so called "subconscious." The Coué method centers on a routine repetition of this particular expression according to a specified ritual, in a given physical state, and in the absence of any sort of allied mental imagery, at the beginning and at the end of each day. Unlike a commonly held belief that a strong conscious constitutes the best path to success, Coué maintained that curing some of our troubles requires a change in our subconscious/unconscious thought, which can only be achieved by using our imagination. Although stressing that he was not primarily a healer but one who taught others to heal themselves, Coué claimed to have effected organic changes through autosuggestion. Coué thus developed a method which relied on the belief that any idea exclusively occupying the mind turns into reality, although only to the extent that the idea is within the realms of possibility. Coué observed that the main obstacle to autosuggestion was willpower. For the method to work, the patient must refrain from making any independent judgement, meaning that he must not let his will impose its own views on positive ideas. Everything must thus be done to ensure that the positive "autosuggestive" idea is consciously accepted by the patient, otherwise one may end up getting the opposite effect of what is desired. Coué noted that young children always applied his method perfectly, as they lacked the willpower that remained present among adults. When he instructed a child by saying "clasp your hands and you can't the child would thus immediately follow. Coué believed a patient's problems were likely to increase if his willpower and imagination (or mental ideas) opposed each other, something Coué would refer to as "self-conflict". As the conflict intensifies, so does the problem i.e., the more the patient tries to sleep, the more he becomes awake. The patient must thus abandon his willpower and instead put more focus on his imaginative power in order to fully succeed with his cure." Autosuggestion is a very powerful mental process. Everyone does it. Everyone does it all the time. It is the term applied to all ideas, thoughts, proposals, or affirmations that are applied by yourself and that reach the mind through the five senses. In the simplest language auto-suggestion is simply self suggestion or the process of making suggestions to yourself. They are the most dominant of your thoughts - the ones you dwell on, the ones that stay in the foreground of your mind - that reach the subconscious mind and influence it. Although most people are unaware of it, everyone has complete control over what messages get through to the subconscious mind. Even people who are aware of this principle seem to be unable to use it. Elsewhere on this site the nature of the subconscious mind has been discussed. The truth is that you are going to think and the nature of your thoughts will determine your outcomes. If you don't take control and plant healthy positive thoughts in your subconscious mind with autosuggestion, you can be sure that your subconscious mind will accept the suggestions coming from other sources. Your mind is like a garden. If you tend it and plant good useful seeds, you will reap a harvest of positivity in your life. If you ignore what is being planted in your garden and let anything grow there, you will have a nightmare of weed and garbage. Your ability to use the principle of autosuggestion will depend, very largely, upon your capacity to concentrate upon a given desire until that desire becomes a burning obsession. - Napoleon Hill Note, however, that when you use self suggestion, ordinary, bland, uninspiring, insipid words will not reach your subconscious mind anymore than they reach your conscious mind. Your subconscious mind loves to work on things that are mixed with strong emotion and feeling. This principle is so important that you will find it repeated on many of the pages of this site. There is no point and nothing to gain by allowing yourself to become discouraged if your initial attempts at affirmation / self suggestion don't produce the results you desire. The key is repetition and persistence combined with belief. Remember that you need to have a definite goal in mind. Whatever your goal is, it must be clear and measurable. It must be definite. It must also be something you strongly desire. Hold that goal so firmly in your mind that you can actually see what it looks like. You need to be able to visualize it. Get into a quiet spot where you will not be disturbed early in the morning or just before bed and relax yourself. Once you're relaxed - state your affirmation / autosuggestion out loud. Picture yourself as if you had already attained that goal. Repeat (there's that word again) this program daily (no weekends off) until you start to find yourself automatically taking the actions necessary to get to where you want to go. Writing your autosuggestions out will also help to get them embedded into your subconscious. While you do this remember that the purpose of the exercise is to give commands to your subconscious mind. You are not attempting to consciously change.. you must leave it up to your subconscious. Cynicism and skepticism are far too commonplace these days. It is natural to doubt. It is natural to doubt that affirmations can be so powerful but they are. As you continue on your path, your skepticism and cynicism will soon be replaced by belief and positive confidence when you realize that your goal is in sight and you've made no conscious effort to get there. If you want to take your self help program to extreme levels, the method of choice is affirmations with brainwave entrainment. With entrainment technology you will very quickly plant the seeds of your goals deep in the fertile soil of your subconscious mind. Wicca is a post Christian religion based around Goddess worship who manifests as mother nature in all her forms, and utilizes magic rituals, is generally known as The Craft. Its history invokes many forms of the sacred feminine principle and in an increasingly fem-dom culture I urge its followers to remember that Males are equally as divine. As a child I grew up in an art school environment, my dad being a practicing artist and college lecturer, my mam a professional dressmaker by skill, having qualified as a psychologist found herself working in a college environment as a fashion teacher. She taught thousands of students, mostly young girls and the occasional gay boy, how to sew, how to design and make clothes for themselves, for catwalk and for the fashion industry, which really are three very different aspects of 'fashion'. The term ARTS and CRAFTS was one I grew up hearing daily, although not directly in the context of Magick. The Craft aspect being quite evidently female forms of Wicca, which with dressmaking skills becomes voodoo pins, poppets, garments, the weave of the world, the fabric of reality; such metaphors are entrenched, from the spinster spinning a yarn, such as for instance sleeping beauty pricking her finger on the loom; the imagery is profound and everyone feels the affinity with it. Therefore I am assuming that the Art as a method of magick is related to twin male aspects of the formal Hermetic tradition, which underpins so many of todays open and secret organisations from the catholic church through masons and other aspects of the illuminati groups; and also the more primal roots shamanism where it can be related to divine masculine principles. It is from studying the Knights Templar that I learned about Abraxus, the unified deity who is both hermaphrodite and androgynous, both male and female. 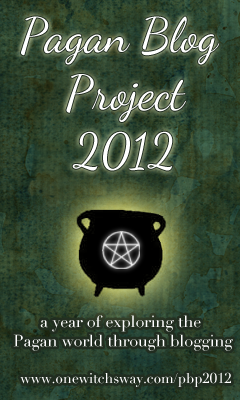 I should like to put a link here, to another Pagan Blogs Project blogger, about Austin O Spare. It will do much to further the concept of Art as an academic magickal tradition in the western world. Actually he explained that he was attuned to the Merlin energy, which took possession of him as Myth became flesh. It tends to do that with high-energy people. He was a proper full on druid, he taught me a lot in the few short yet timeless hours we spent together in Cheltenham and Glastonbry freedom festival aka Pilton rock pilgrimage. For example that the shamanic hoody top and purple combat trousers are our Celtic war clothes in the combat against the oppressor. My further research into Common Law has revealed that the UK is indeed lawfully in a current state of war against an occupying army, a corporate police working for the Vatican in Rome because of the queen committing treason against we the people who she swore upon coronation to protect, by signing the Treaty of Rome. "When you became a con.stable, did you swear an Oath and are you honoring that Oath at present time?" A simple question that disarms ALL of their statute policY. "Nobody is breaking any laws here officer, thank you and goodbye." "When the Wind is on your back." The poor guy was sectioned for believing Myths to be a real part of our human experience. Nevermind that the vast majority of people have and do believe this for thousands if not millions of years. Many people experience the living myth. We are not supposed to be robot zomba who cannot see beyond what the bbc news tells us is real. We are created to evolve! I have just recently observed thanks to my son that the zombifying wind I frequently get in my head that incapacitates my senses and my ability to make action, that I do not notice with the forefront of my Attention until it stops; I have identified now what it is. It is Expectancy. By another person, that I will respond to them by talking or acting. When I don't, because the surge of their Attention wave on me overpowers me, sometimes their energy becomes a disappointment that I am insular and it discharges elsewhere; typically as an accident happening in the environment around. I previously associated the wind with the precursor of accidents and blamed myself for being incapacitated where were I more lucid and awake I could prevent the accident. A lesson in taking full responsibility for my environment wholesale and all the people and particles in it. "Be All that you are." enough to write about it. Since childhood with my parents and brother this was a quest for freedom for me because I didn't want their manifestation to turn me into a robot reacting purely for their enjoyment; I wanted to be my own Self, not to be slotted in as a cog in a machine because the machine shapes the cogs. I developed very little social skills growing up isolated in the countryside. I am 34 next week (at time of writing, october 2011) and only today can I write this to explain it to people. I feel/hear other people's Expectation that I will respond, but since I am too tired to be able to do so, to second-guess their frame of reference and have switched off already, I am unable to respond. My response is expected a a reaction to the other persons inner monologue and I have become exhausted by it because it has soaked energy from me. Hearing a wind that disables my senses is the sound of my energy being vampired away; sucked out of me. I believe that this is part of what is diagnosed as Aspergers syndrome which is a different but similar and related thing to Autism spectrum. Autists are empathic and telepathic;I use the term telempathic to describe this. They communicate with others, who do not have to be present physically but share the same wavelength emotionally and mentally. To the observer they seem cut off from the outside influences of other people trying to get their Attention. To the autist, the outsiders seem blocked off from being able to share and communicate deep amounts of significant data empathically. Several years ago a girl in college collapsed, her heart stopped and the ambulance arrived and a paramedic resuscitated her with a portable electric shock machine. Moments before she collapsed, all of the computers in the college computer suite that she had been using, blacked out; the trip switch had blown. Energy flows through everything and we are made of it. Everything is connected. I sat outside the building watching birds spiral in the sky directly above her body while the paramedic resuscitated her. The way to stop the wind is to give Attention energy to the source of the wind; the person who requires response, for their flow to continue to flow. In this we can direct their wild Attention into a singularity focus, balancing them. After reading Dr Eric Berne's book of transactional analysis technique, The Games People Play, I follow that humans typically extort energy from each other rather than respecting each other and by acquiring energy from spending time in nature, meditating and eating quality food, living quality lifestyles. The debased culture of ego-based energy vampirism is sadly the mainstream of western civilisation. This is why Aspergers and Autism has developed; for individuals to avoid being vampired by irrelevancy that any response to will be an energy theft and to divert the autists own natural flow and Attention, albeit apparently insular to the observer. To give Attention there is both to feed a disfunctional energy system and to encourage that system to continue. Unfortunately the subject lacks the ability to communicate this information verbally in language, even if a deep understanding of it exists intuitively,emotionally and psychologically. It seems obvious to the autist that 'this is how it is' and that the wind is experienced as a form of attack; however for the person requiring the response, being ignored when they are requesting a donation of Attention energy is confusing. With my son today, the wind froze me up until I snapped myself out of it - because I love my little boy so much I chose not to ignore him, I gifted him willingly with my loving Attention energy, from my heart and my mental perceptions, the five basic senses we are taught about in school. Instantly the wind stopped and he giggled. This is the key! Just exactly as James Redfield writes about in the Celestine Prophecy! The book does much to elaborate on how energy donations work, although it teaches only the very basics. I would add to it that the individual has a unique energy 'flavour' or 'texture' called a 'signature tone' (usually a range of tones) that can be used to identify them. Autism/Aspergers are spiritually advanced in their abilities much further than non-A's are capable or ready of comprehending. However a combination of their self-defense mechanism and their inability to communicate intuitive concepts they rely upon as a major sense, sets them apart from mainstream. This essay, written by a self-diagnosed mild Asperger sufferer, is my attempt to bridge that gap.